This project has more than 20 sections. In later sections, we often provide code that is based on tables created in previous sections. 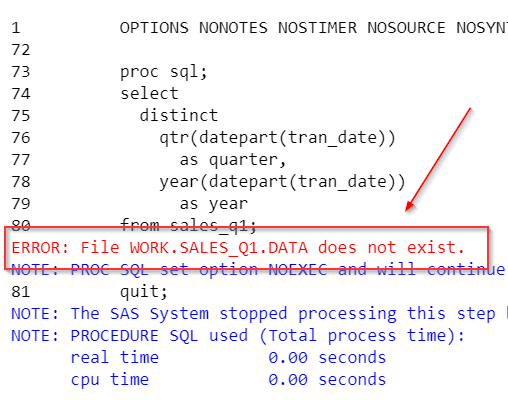 ​ERROR: File WORK.SALES_Q1.DATA does not exist. For your convenience, we include the code for the previously generated tables in the yellow box. Run the code in the yellow box if you see the error message above.